Task, note, and to-do manager for businesses. Is there a better alternative to BusinessTasks? Is BusinessTasks really the best app in Productivity category? Will BusinessTasks work good on macOS 10.13.4? BusinessTasks needs a review. Be the first to review this app and get the discussion started! BusinessTasks needs a rating. Be the first to rate this app and get the discussion started! 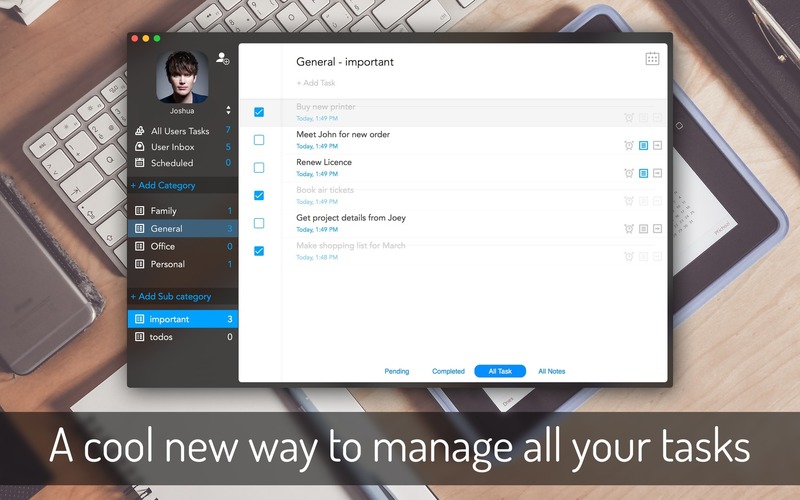 BusinessTasks is an all-in-one app for effortless task management. It provides you with an intuitive app interface from where users can add task or todos one by one for any given day. Stay up to date with what you have to accomplish through out the day by taking a quick look at the app. Mark tasks as complete one by one after they are done. Set priority for each task and keep a close track on what is important. 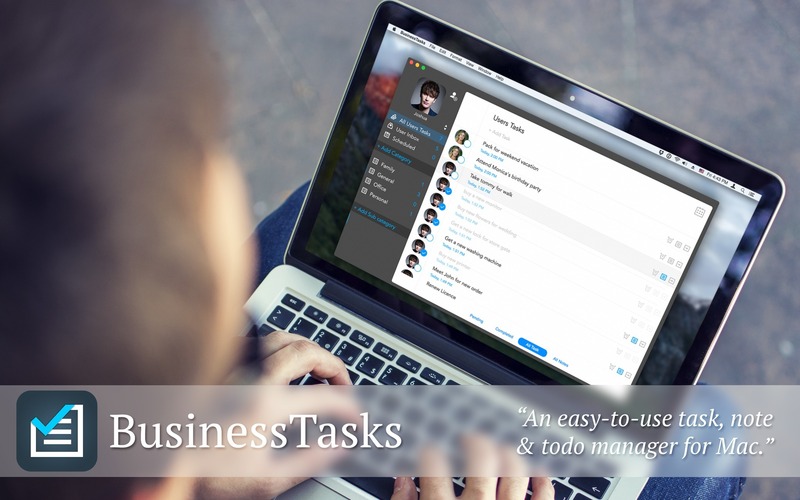 Tasks and todos can be kept into different categories and sub-categories. 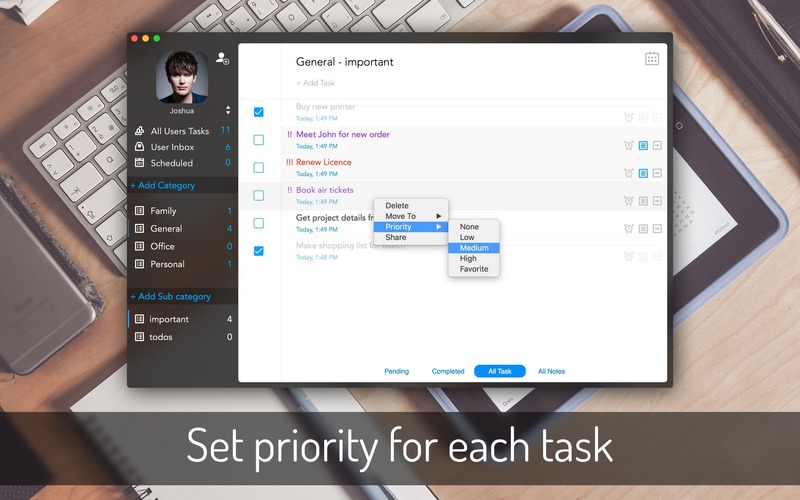 Create your preferable task categories and organize yours tasks constructively. 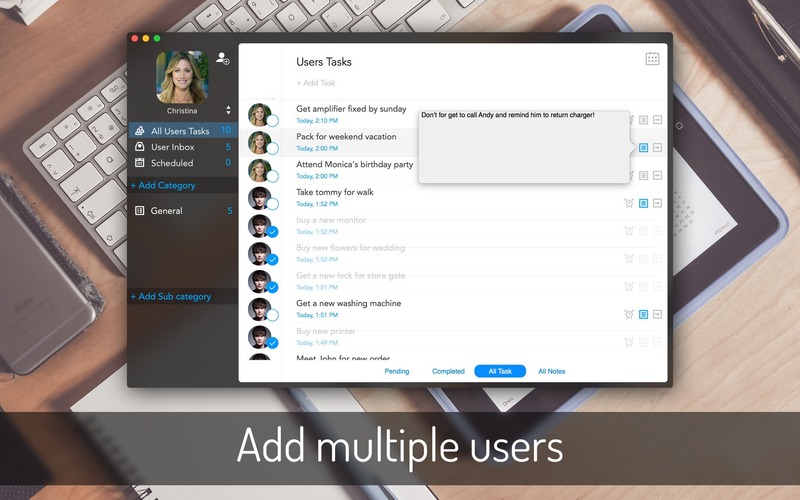 Also add multiple users and define tasks for each user. This app is a complete solution to all your need when it comes to task management.